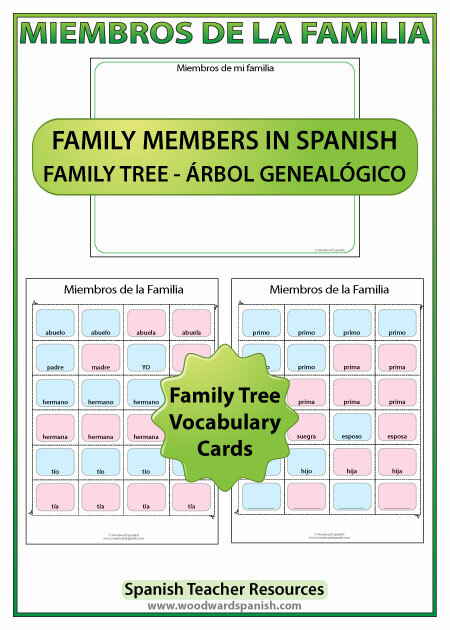 Activities to learn Spanish vocabulary about members of the family. The main chart contains a family tree presenting the relationship between different members of a family. 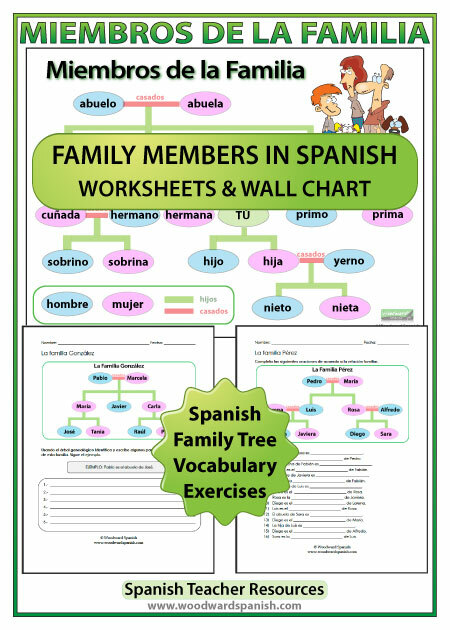 The following Spanish vocabulary appears in the chart: abuelo, abuela, tío, tía, padre, madre, hermano, hermana, tú, cuñada, primo, prima, sobrino, sobrina, hijo, hija, yerno, nieto, nieta. Students can also do this activity in pair work to create the family tree of one of their classmates. There are also two invented family trees of the Familia González and the Familia Pérez. Students will need to fill the gaps and answer questions writing the correct name or relationship between family members according to the charts. IMPORTANT: This product is completely in Spanish without any English on any of the worksheets. The teacher guides are also completely in Spanish. Aprender vocabulario de los miembros de la familia en español. 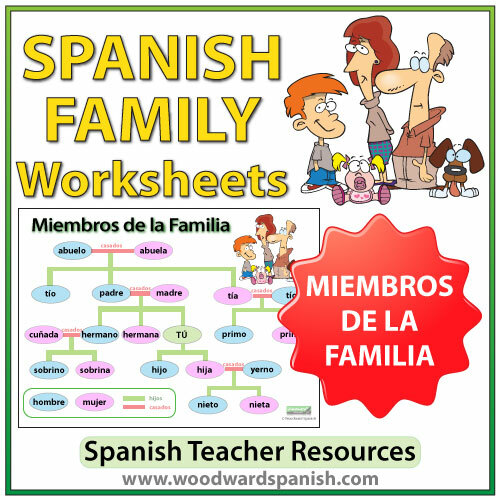 Be the first to review “Spanish Family Tree Worksheets” Click here to cancel reply.